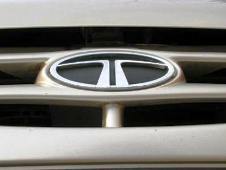 Surging competition has dented the domestic truck and bus market share of Tata Motors, the country’s biggest commercial vehicle manufacturer, pushing this to its lowest level in four years. The Mumbai-based firm has lost almost 10 percentage points in market share since 2009-10, even as other brands have fought hard to wrest share away. VE Commercial Vehicles, the 50:50 joint venture company of Eicher Motors and the Volvo Group, and Hinduja Group flagship company Ashok Leyland, have improved their share during the same period, on the back of new model launches and expansion. The entry of new entities such as Mahindra Navistar and Daimler India Commercial Vehicles have further fragmented the CV market, in addition to traditional small players such as SML Isuzu (formerly Swaraj Mazda) and Asia Motor Works. its strongest annual erosion in market share last year. In 2012-13, it stood at 53.4 per cent in the medium and heavy CV segment as compared to the 59.3 per cent recorded in 2011-12, show data provided by the Society of Indian Automobile Manufacturers. The slump in share is led by the fall in the trucks segment to 56.6 per cent last year, as against 62.2 per cent in 2011-12. Truck sales fell 33 per cent last year to 125,455 units, as compared to 186,298 units a year before. The fall in TM truck sales mirrors the general trend last year. Overall truck sales slumped 26 per cent to 221,710 units, signalling significant over-capacity. The M&HCV segment comprises buses and trucks. “The M&HCV business continues to remain challenging. TM’s market share in the domestic M&HCV goods segment stood at 57 per cent, compared to 62 per cent in FY12”, stated a Centrum report prepared by analyst Ajay Sethia.